Durable, transparent vinyl strips combined with our exclusive support hardware create the perfect doorway curtain. 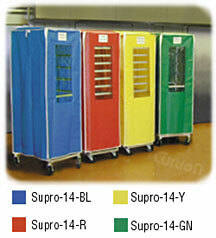 Available in pre-designed or custom sizes, Strip Curtains can be made to order for any application. Polar Star Strip Curtains are suitable for doorway, docks, partitioning, cold storage and environmental control applications. 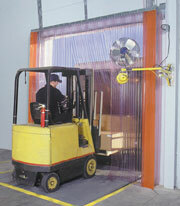 Clear, durable vinyl strip curtains are an e xcellent choice for passageways of personnel or material handling equipment. the popular overlapping design of a strip door unit provides work area inspection for safety while maintaining a measure of environmental control. Polar Star clear strip materials are available in a variety of widths and thicknesses to accommodate any doorway requirement. Product Description-Available in custom size or standard 4' widths, these transparent curtain systems are made up of a series of 8" wide strips clamped together at the top and suspended vertically. Ideal for containing noise to one side of an area where exit/entry is a must. Transparent, flexible vinyl strips or sheets of acoustic barrier material used to "block" the transmission of sound in areas where noise abatement is a must, but visibility, passage, light, or temperature control is a must as well! 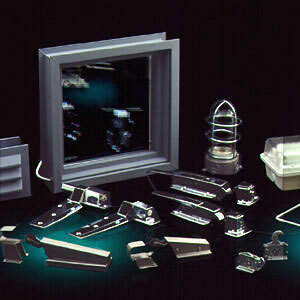 Ideally suited for window coverings, shipping and receiving doors, conveyers, room partitions and assembly lines. 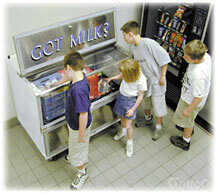 Also meets USDA requirements for use in food processing locations! 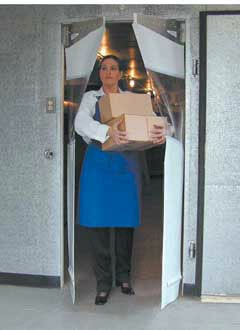 A good alternative to any sliding door in a QBS curtain enclosure, or where forklifts need entry/exit! Remember that leakage occurs with the vertical strip setup. Therefore we double layer the material with a 100% overlap from the back layer to the front. Use this material only where transparency or exit/entry is a must! Also ask Polar Star about our stitching capabilities to sew this material into our QBS-1 Blankets. You can create your own installation by securing firring strips to both sides of the top of the strips, and band them together, or have Polar Star provide clamps cut in 4' widths. Strip or solid clear vinyl curtains are mounted using either a Header Mount or Wall Mount Ssytem that is included with the order. The metal brackets are designed to properly support the weight of the material and avoid potential tearing that standard grommets would cause. Standard widths of the mounting hardware is 48", with 8" strips overlapped being secured with bolts to the mounting hardware. For more information contact your Polar Star consultant at 1-877-571-1100! Wall mount strip curtain. 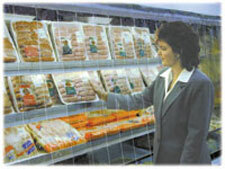 Reach Through Thermal Curtain for Open Display Coolers and Freezers Milk and Beverage Cooler Curtains. Overhead Door Brackets. “Heavy Duty” Polar Star Pro Flexible Swing Door for Walk-in Coolers, Freezers Rack and Cart Cover, Heavy-Duty Translucent White.